We are an all-female decorating and tiling team based just outside of Taunton in Somerset covering all areas of the TA postcode and the South West. Providing good service means taking the time to listen. We will work with you every step of the way to make sure you receive the service you need. So whatever you are after be it just a fresh lick of paint or a completely new colour scheme give us a call. 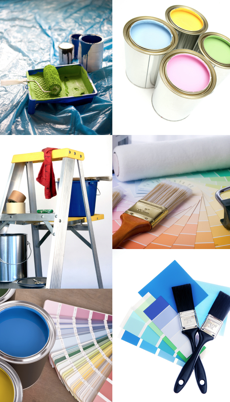 Paint Pot Decorators have a long tradition for helping people achieve their decorating and renovation goals, with a minimum of disruption to the home and with the utmost professionalism. We understand that no matter how big or small each project is - the same high amount of attention to detail is required. We believe that this is the key reason we are given so much repeat and referred business from our customers. For more information about us and our services please contact Julia or Sarah on 01823 491400 or 07837 775714 or 07789 070192.